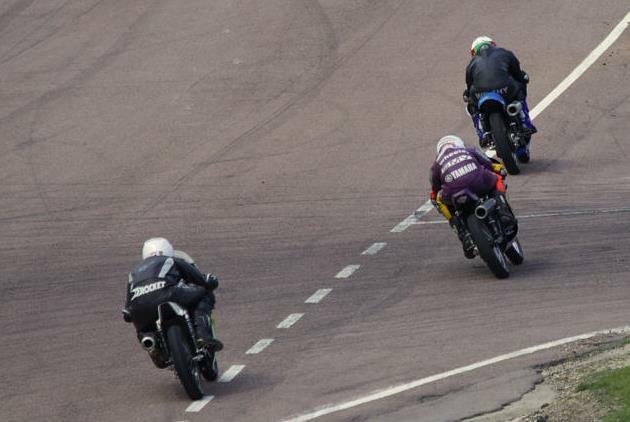 This weekend took place the 2nd round of the CRMC at Lydden Hill in Kent (UK). 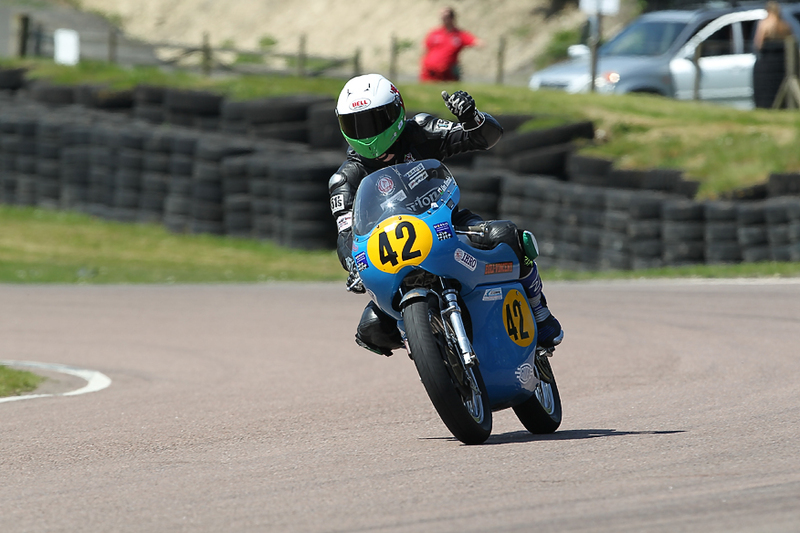 Alex Sinclair won the 4 races in his class (500 Grand Prix) and, as the classes are mixed, he finished second in 3 of the 4 races in the 500 Clubman class behind the very fast Royal Enfield piloted by Olie Linsdell who is usually on a par with the best Manx and G50. 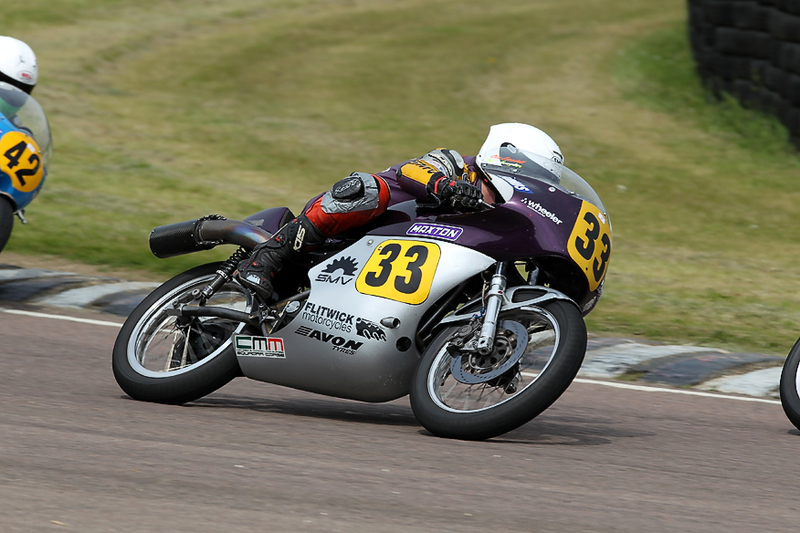 In the third race, Alex even finished first in front of the Royal Enfield. 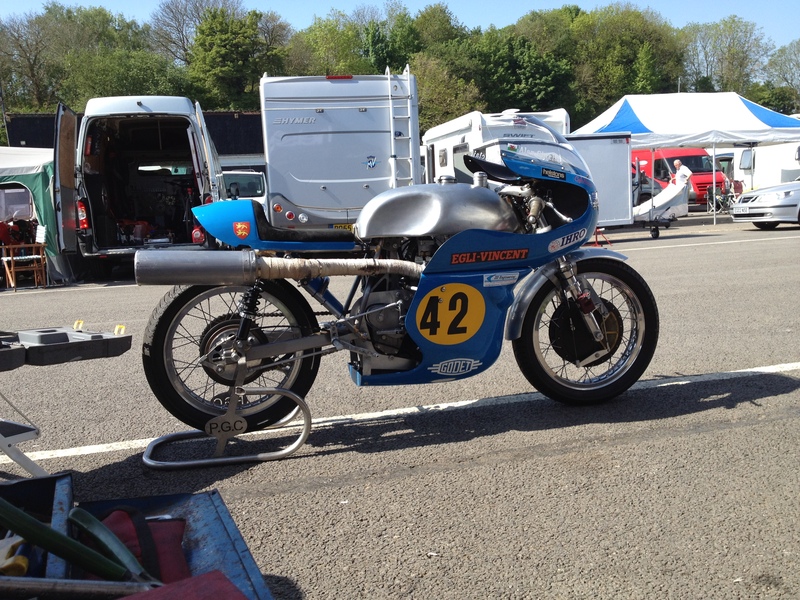 “Our engine is actually very close to the Royal Enfield engine in performance, in fact I think it does not grant him anything. 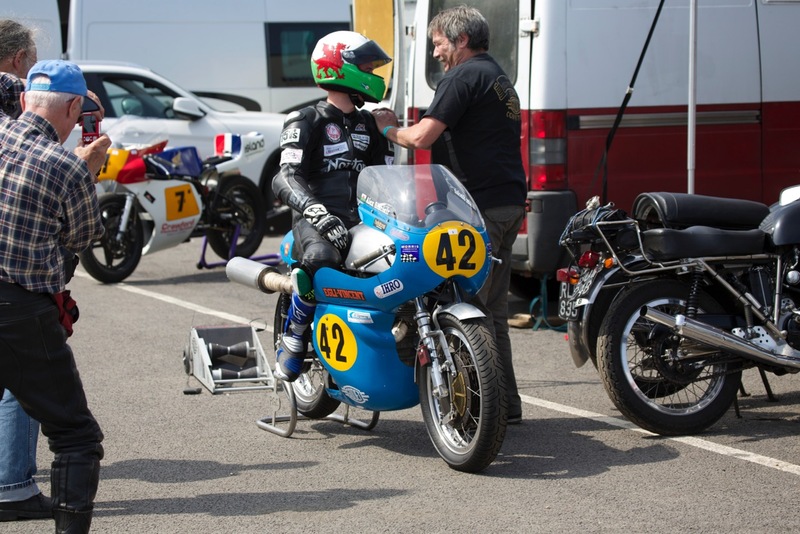 However the cream of the Cammies was not there but one team which usually is on a par with the Royal Enfield, so we had a standard to evaluate us.” said Patrick Godet. Note as well that the team’s second racer not ready on time for this weekend so Patrick had to make the tactical decision to cancel the participation at the Sachsenring in Germany where Bruno Leroy should have been racing this week-end. 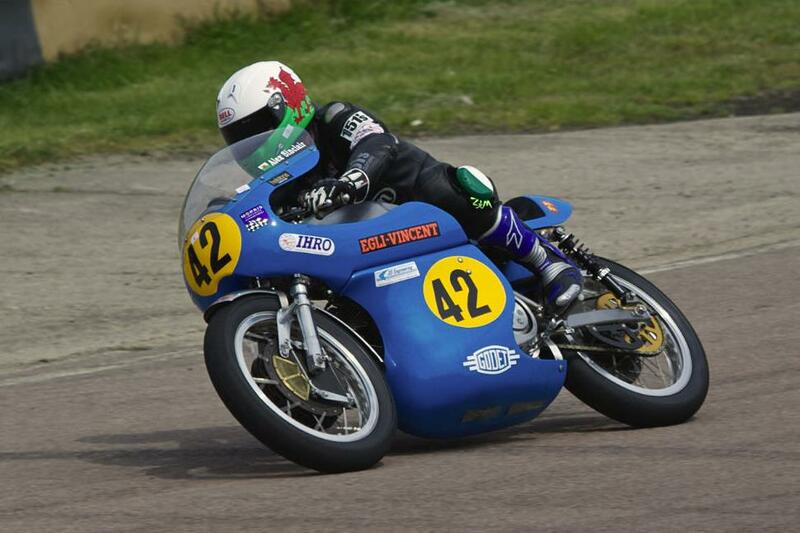 Alex did manage very well his races, four 1st places in 500cc and one first place in the 750cc class. 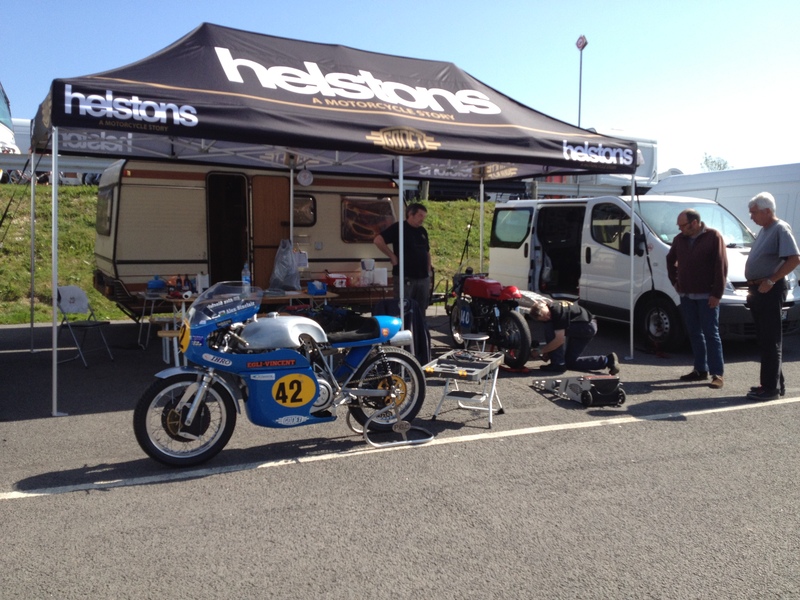 Alex in the paddock, ready to take the track. Alex and Olie were nip and tuck during all the week-end. 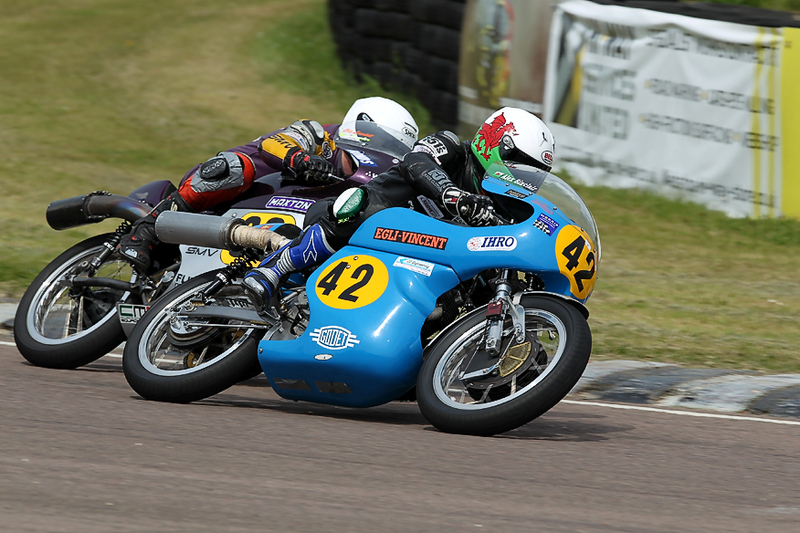 Steve Linsdell’s very fast Royal Enfield 750 piloted by his son Olie was in front of the Egli-Vincent 500 in the 1st, 2nd and 4th race, but Alex succeeded to make it in the 3rd one. Superbe image which shows the determination of both pilot to win. 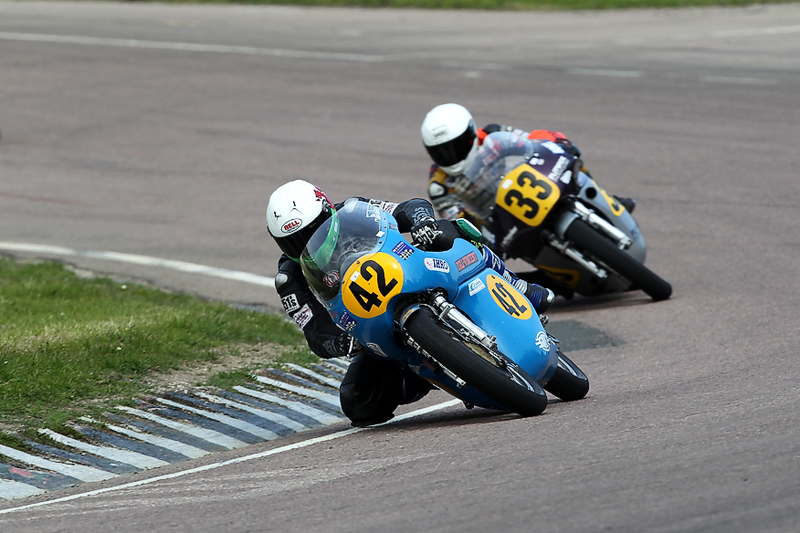 Patrick Godets’s team has made significant progresses in only 4 rounds to bring the overall performance of the Egli-Vincent 500 Racer to a competitive level, proof that the design foundations are great. Like in the good old time, a camping trailer and a van. (1) Thank you to the Photographer Russell Lee who provided these pictures. You can find his images of the CMRC races for the seasons between 2003 and 2014 on his website www.sport-pics.co.uk and order them directly under different formats.